Plugins provide additional functions which are not present in the core version of Oxwall. You can choose which of these plugins to install depending on your needs. To Install a new Plugin you will need to login to your admin area and navigate to Plugin>Available Plugins for a list of the pre-defined plugins for Oxwall. Let us install the Birthdays plugin as an example. Hover over the plugin and then hit the green Install button. After 1-2 seconds you will receive the notification that the plugin was successfully installed. 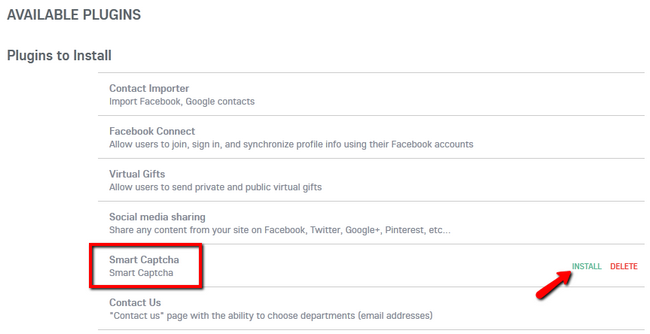 You now have a list of upcoming birthdays for your site’s users to use. If you have a 3rd party plugin you wish to install please access the Add New section of the Plugins menu. 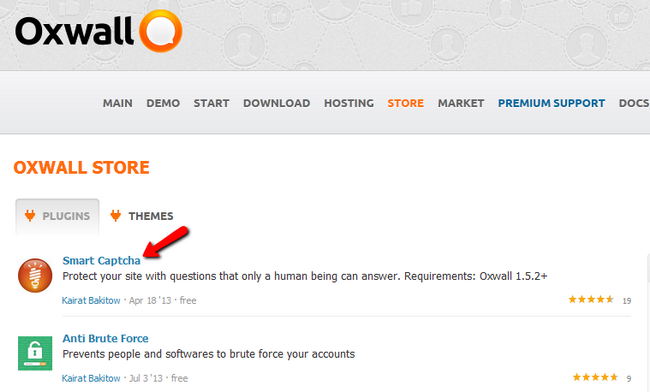 If you are looking for 3rd party plugins you can always check the official Oxwall Store page. 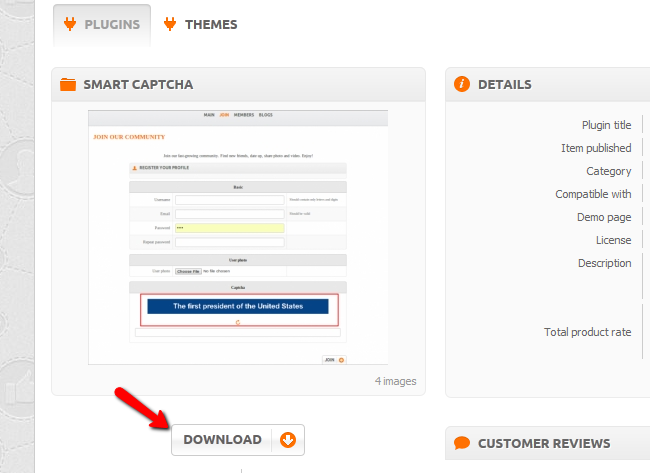 In this case we will install the Smart Captcha plugin to provide a protection to our Oxwall website. Click on the plugin and then click on the Download button. Now let us return to the Add New section of our admin dashboard. Select the zip file you just downloaded and click upload. This will upload the file to the server and will list it in your available plugins. From here you can proceed with the installation as illustrated in step 1. After you have installed the plugin you will be able to modify it by selecting the Settings option of that plugin. Congratulations, you now know, how to install additional plugins for your website.